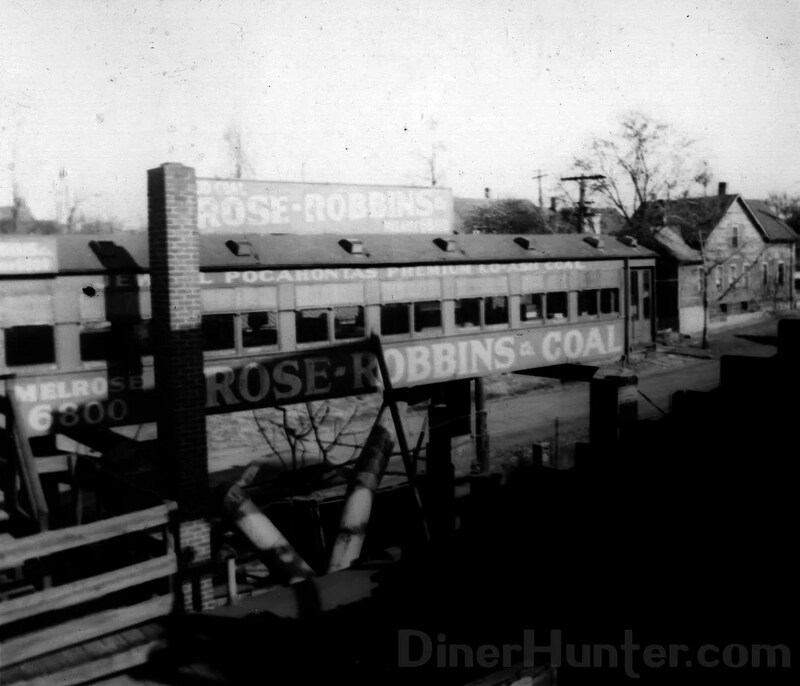 Period directories give the address of Rose Robbins and Company Coal and Coke as 2471 W. 41st Street, Cleveland, Ohio. While it is still an industrial area, the bridges are all newer and there is no longer anything recognizable from the photos. 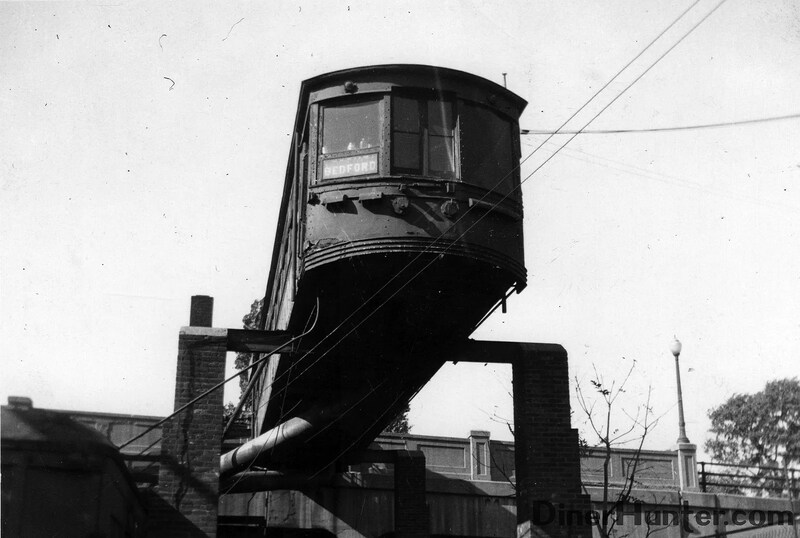 It looks like there may be another converted trolley or rail car to the left of the pillar underneath the bridge in both of the angles of this conversion. From its location under the tracks, normally I would say it was a parked or passing train, but it appears that the windows have been boarded up. Possibly used as storage? 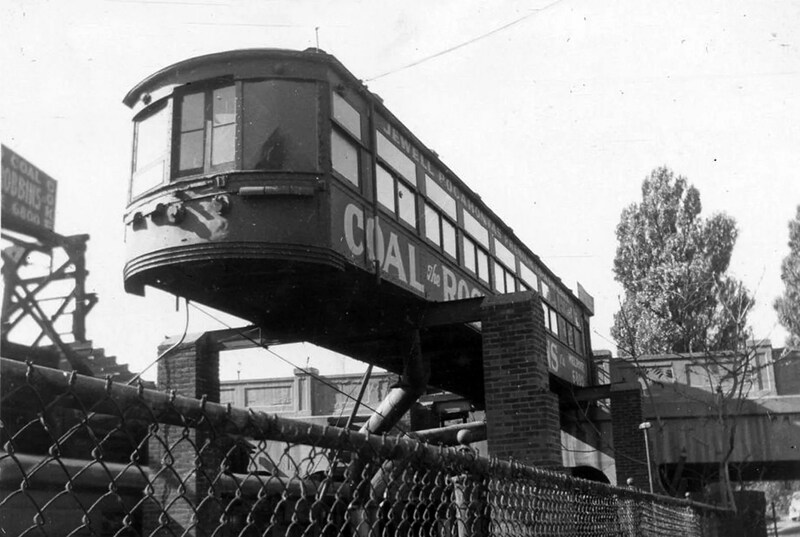 Another angle on the coal office hanging out over the bridge.